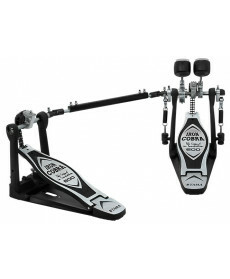 Pedal Bombo Duplo Tama Iron Cobra HP600DTW Double. Sistema: Drive corrente dupla; Duo Glide; Speedo Ring. 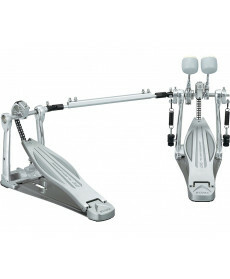 Pedal Bombo Duplo Tama HP310LW Speed Cobra Double. Sistema: Drive corrente dupla; Duo Glide; Speedo Ring. The Speed Cobra 310 series was developed using the same design principles as the Speed Cobra 910 series, and offers remarkable performance at an affordable price. 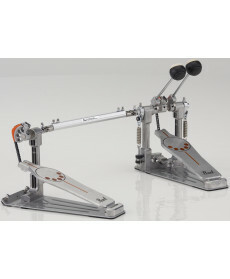 Pedal Bombo Duplo Roland RDH-102 Double Pedal. Sistema: Drive corrente dupla; Duo Glide; Speedo Ring. 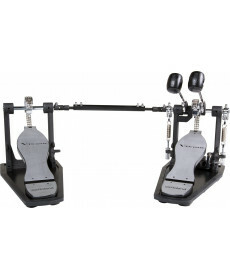 Combining a heavy-duty double kick drum pedal with Roland’s patented Noise Eater technology, the innovative RDH-102 is perfect for V-Drums users who play and practice in multi-level buildings.